Planning is an important task for all of us, whether young or old, healthy, or facing challenges. But, it can also be complex and confusing, especially when you are planning for the current and future needs of an older adult or an individual with disabilities. It is hard to know where to start. Our experienced staff want to be a resource for you! The first step is simply to CONTACT US. We are easily accessible by telephone or e-mail, and we are happy to answer your questions – or, in some cases, help you figure out which questions to ask. We will work in partnership with you, your family, and the professionals involved in your planning process to determine which of the Corporation of Guardianship’s services are going to be the best fit for your unique circumstances. Many of the Corporation of Guardianship’s services require legal documents to be executed and/or involvement by the court. While we are happy to meet with you to talk about your situation and explore the available options, we do not have an attorney on staff and cannot offer legal advice. 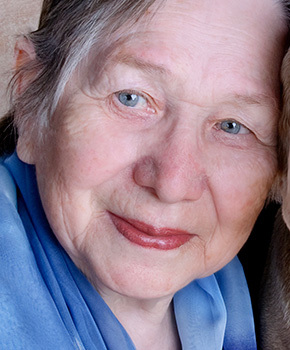 Individuals with disabilities and older adults face unique planning needs that can best be addressed by attorneys skilled in the complex areas of public entitlements, estate, trust, and tax planning. We encourage you to seek qualified and experienced legal advice from an elder law and estate-planning attorney as part of your planning process. A good place to start is the website of the National Academy of Elder Law Attorneys (NAELA). I wish [CoG] could be guardians to all of our people.